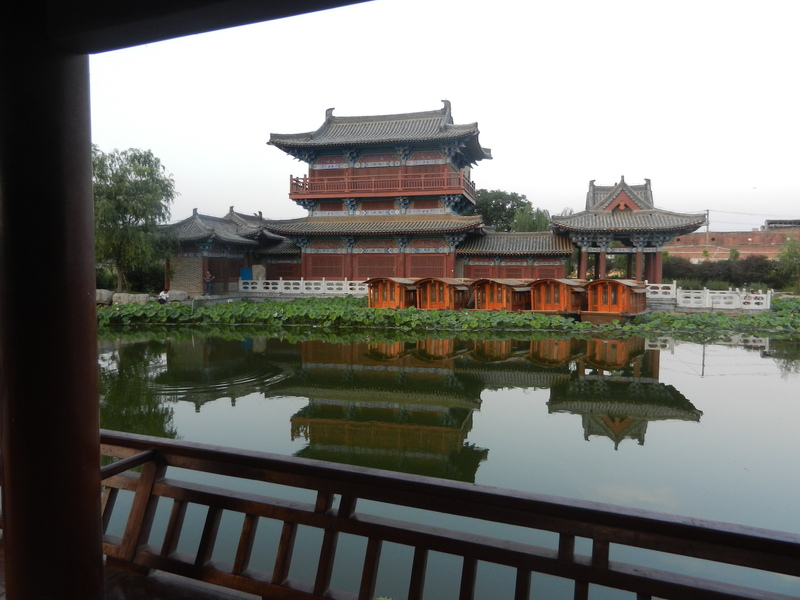 The city of Kaifeng was high on my list of places to visit on this last trip through China. It presided as the capital of the Northern Song Dynasty. So I expected to meet many spirits there, but not Jimi Hendrix’s. 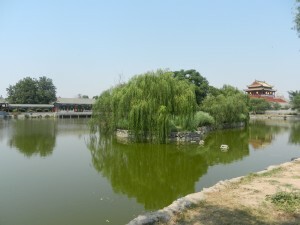 Kaifeng had a violent history. Northern barbarians sacked it in the 12th century and forced the court to move south to Hangzhou. Since then, the Yellow River flooded it many times. But the government has done a lot to recreate the Song Dynasty’s atmosphere in its 11th century glory days. I carried my travel guitar through a public park by a lake with replicas of buildings from the era. A couple of elderly erhu (a Chinese violin) players asked me to sit and play with them. They invited me back for the next day. When I arrived, an opera singer was with them. She was in her 60’s, but she had the voice of a 30 year old. It was big and as lush as southern China’s vegetation. Hearing her up close and seeing her silhouetted against the pagodas while the sun set felt like full immersion in the Song Dynasty’s cultural life. But then she asked me to sing and handed over the microphone. I said that I don’t sing well but she kept insisting. The only songs I have experience singing are rock, so I chose a ballad by Jimi Hendrix called The Wind Cries Mary. So a spaced-out hippie tune carried over the waters of what used to be China’s cultural center. But the song’s very wistful. So it mixed with the pagodas, indigo waters and sunset into an ethereal landscape that folks at the old rock festivals were dreaming about. I never imagined blending flower children and the Song Dynasty. But Hendrix’s music and Kaifeng’s heritage can create magic.